I never really wanted to own a Wii U up until last year. It’s virtually impossible to ignore how strong Nintendo’s line-up was, and after Nintendo Direct last night it’s hard to imagine that they’re going to slow down soon. There are already countless reasons to finally pick up a Wii U, but my ultimate seller has to be Splatoon. And now it has a release date. The colourful, squid-hopping, ink-shooting exclusive will land on the Wii U sometime in May. Nintendo has already shown off the game’s incredible addictive multiplayer (which I couldn’t get enough of at rAge last year), as well as the game’s adapted single-player mode already. During the Direct stream yesterday, Nintendo showed how all of these modes are tied together in a singular hub, and it’s pretty rad. The central hub world will allow you to interact with other player’s avatars, or “inklings”. The central tower also acts as a speed point to the game’s multiplayer. Playing online earns you in-game currency, which can then be spent back at the hub on new weapons and apparel. Along with a new cosmetic look, these new items also grant buffs and special abilities – so essentially Splatoon’s own form of character progression. Watching it all in action reminded me a lot of Jet Set Radio in terms of style, and that definitely kicked my own hype meter into overdrive. Don’t be put off by the game’s childish appearance either. 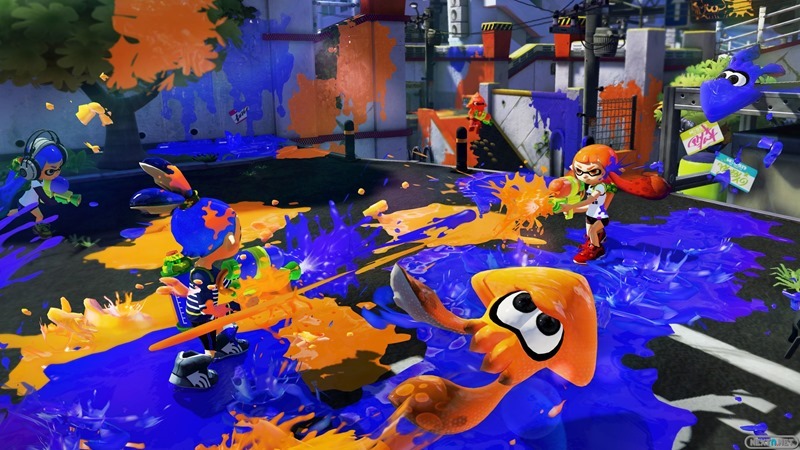 Splatoon plays like an intense, strategic multiplayer title, albeit with enough charm to appeal to a younger crowd. I don’t care if I’m the oldest person at a stand waiting to play – I can’t get enough of it. It’s the reason why I’m willing to pay the exuberate cost of a Wii U console locally, and I can’t really say the same for most other consoles at the moment. Keep doing what you do well Nintendo. Previous article Will Uncharted 4 hit 60fps?